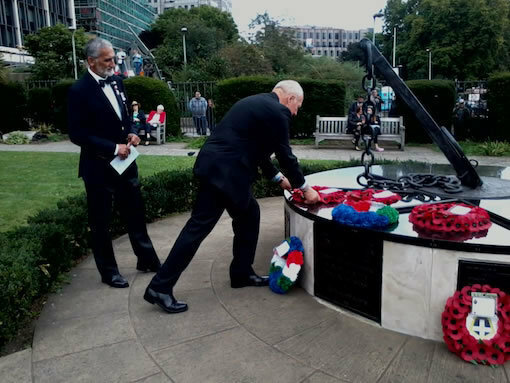 This annual service is held at the Merchant Navy Memorial at Trinity Square Gardens, London, in front of Trinity House and adjacent to the Tower of London. There is a Great War Memorial there commemorating the 100th Anniversary of that War and also a Merchant Navy Falklands Memorial built post 1982, the latter being of great significance this year; the 35th Anniversary of the Falklands Conflict. 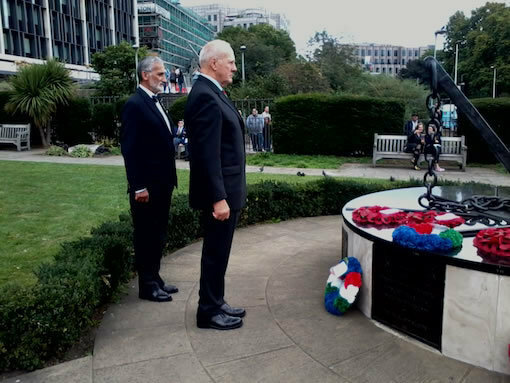 Two senior Falklands veterans were present - The First Sea Lord, Admiral Sir Philip Jones KCB ADC and also the National Patron of the Merchant Navy Association, Admiral The Right Honourable Baron West of Spithead GCB DSC PC. This is always a very moving service with hundreds of Merchant Navy Veterans and others present. 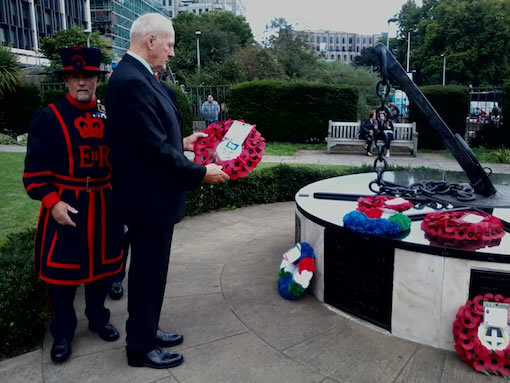 There was a good Falklands representation this year with Sukey Cameron laying a wreath on behalf of the FIG, Mike Bowles a wreath on behalf of the Falkland Island Association and Gordon Mather a wreath on behalf of SAMA. There were also many SAMA veterans present and the SAMA Standard was proudly carried amongst the many Merchant Navy standards present. The event was well attended and luckily the open air service was completed in dry weather despite some very threatening looking clouds around! 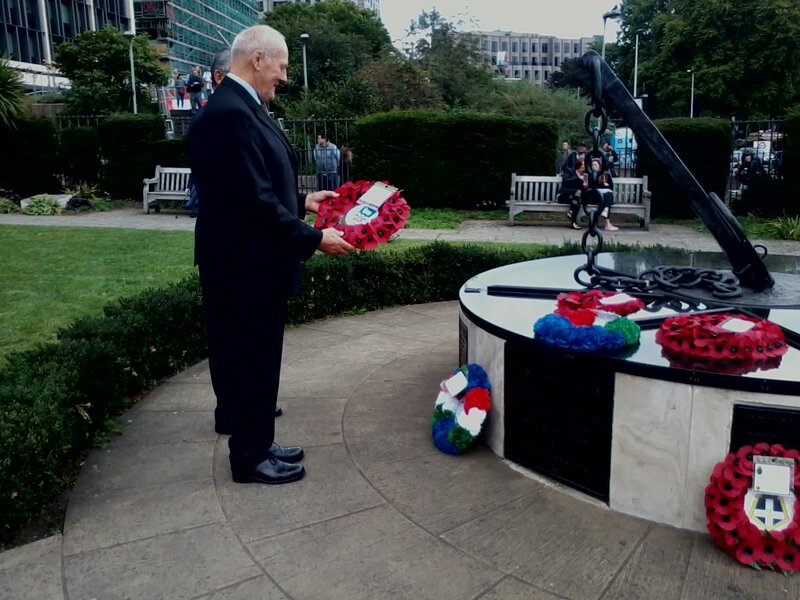 During the address seafarers across the world were remembered but a significant mention was made of the huge task force assembled in 1982 of Naval, RFA and Merchant ships which enabled the successful recovery of the Islands from the occupying Argentine forces. At lunch following the Service the First Sea Lord gave an address which concentrated on the Falklands Conflict.